NAMA Recovery of Tennessee: Support the proposed OTP in Johnson City, Tennessee! Support the proposed OTP in Johnson City, Tennessee! Support the proposed Opioid Treatment Program (OTP) in Johnson City, Tennessee!! Please write a short letter of support to the Tennessee Health Services and Development Agency (HSDA) in support of Crossroads Treatment Centers' application for a Certificate of Need to operate an outpatient medication-assisted opioid treatment program in Johnson City, Tennessee! Tennessee residents, especially from upper eastern Tennessee, are especially needed, but letters of support can (and should) be sent from people all over! Form letters are often brushed aside, so please take just a couple minutes to write a letter in your own wording... no one is checking grammar or spelling! 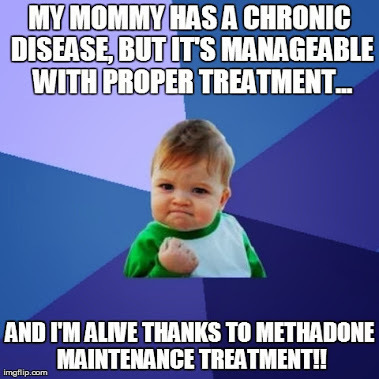 If you or a loved one has a personal positive experience with methadone treatment, please tell it. - Methadone treatment of addiction is a crucial resource to decrease the spread of HIV and Hepatitis B and C infection. - Decisions about the appropriate type, modality and duration of treatment should remain the purview of the treatment provider and the patient, working in collaboration to achieve shared treatment goals. - Arbitrary limitations on the duration of treatment, medication dosage or on levels of care, that are not supported by medical evidence, are not appropriate can be specifically detrimental to the wellbeing of the patient and his/her community. Thus, such arbitrary treatment limitations should not be imposed by law, regulation, or health insurance practices. - Traveling hundreds of miles for treatment places significant hardships on patients and their families. Many patients trapped in addiction cannot or will not make the trip, resulting in devastating consequences for the addicts, their families, and their communities. -MMT is the most common treatment for opioid addiction chosen by patients and their doctors. Buprenorphine, in-patient treatment, and abstinence-based treatment all have their place in the treatment arsenal. However, researchers found that people who receive adequate amounts of methadone as part of their opioid addiction treatment successfully complete that treatment far more often (74 percent of the time) than people who receive adequate amounts of buprenorphine/naloxone (46 percent of the time). 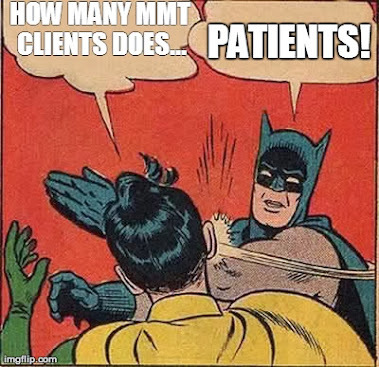 - MMT does not deserve its bad reputation. - Many Tennessee physicians support MMT but are concerned with the political ramifications of publically doing so. - The Centers for Disease Control & Prevention (CDC) has declared Methadone Maintenance Treatment (MMT) is the "most effective treatment for opioid addiction." 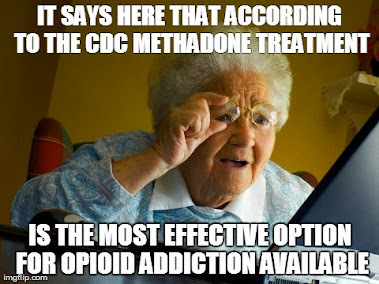 - The National Institutes of Health (NIH), in their consensus panel statement titled Effective Medical Treatment of Opiate Addiction in 1997 deemed Methadone Maintenance Treatment (MMT) the timeless "gold standard treatment" for opiate addiction. - Methadone Maintenance Treatment (MMT) is currently the accepted standard of care for Pregnant opioid addicted women. Pregnant Women in the Johnson City, TN area currently have to drive HOURS round trip, and often over dangerous mountain roads in early morning hours, to receive what is the recommended standard of care for their condition. Crossroads Treatment Centers' proposed Opioid Treatment Program in Johnson City, Tennessee has received zoning approval from the city (see http://www.wcyb.com/news/methadone-clinic-gets-zoning-approval-in-johnson-city/37564154)! These Letters of Support are now more important than ever as we move to the Certificate of Need hearing in Nashville with the Tennessee Health Services and Development Agency (HSDA) at the end of February!